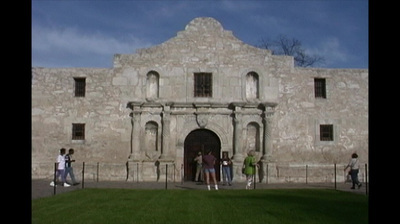 Remember the Alamo? It's here, sitting in a plaza. 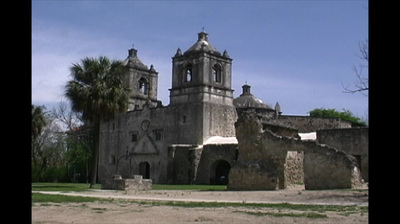 Visit the gardens and hear the story of legends told while visiting the hallowed grounds of The Alamo. right downtown, so you can easily walk to it from The River Walk—a festive sidewalk adventure that winds through downtown at 20 feet below street level. Nestled in by tall buildings and cypress trees, and tucked away from the noise of traffic above, the River Walk draws crowds to its high-rise and boutique hotels, specialty shops, and plethora of restaurants with alfresco dining, and boat tours with historic tales of San Antonio. Theme Parks abound--San Antonio's Sea World is the largest marine-adventure park in the Sea World chain, and has what every kid wants in a park: animals, roller coasters, waterslides, and swimming pools. Meanwhile, Six Flags Fiesta Texas also boasts a water park and roller coasters, and shows! Schlitterbahn water park is a short drive away-the #1 water park in the country! Given the city's close proximity to Mexico and its one-time position as the chief Mexican stronghold in Texas (prior to Texas's independence), it's not surprising that the rich tapestry of San Antonio's heritage has a good deal of Hispanic culture woven into it. The Market Square is a great stop for lunch and downtime—visit shops selling Mexican crafts and jewelry, Tex-Mex food, and enjoy Spanish music and mariachi bands at a leisure pace. Fiesta Flambeau is a fantastic opportunity of festivals and parades each April. An event that began in the late 1800s to pay tribute to the soldiers who died in the Battle of the Alamo and San Jacinto, the 10-day citywide celebration captures the city's many cultures, with music, food, festivals, fairs, parades, a carnival, and more. Never feel overwhelmed with your Student Group Tours Inc. Concierge Host tagging along to keep the festivities going on your trip!